It was another boxing match to remember. 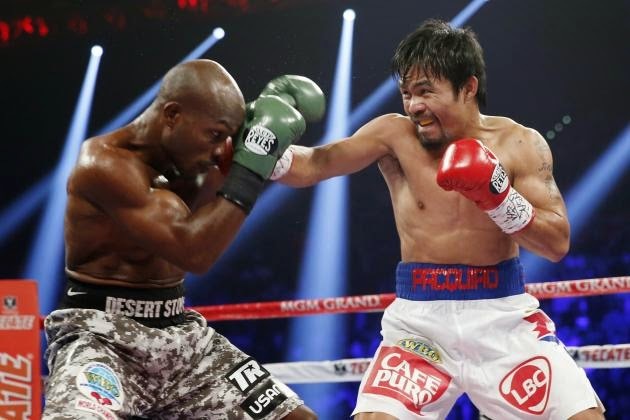 For the second time around, Manny Pacquiao met Timothy Bradley in the ring at the MGM Grand in Las Vegas, Nevada. The first time these two boxers met, Pacquiao lost his title as the WBO Welterweight Champion. This second match was more of a way for both fighters to vindicate themselves. For Manny, to reclaim the title belt; and for Tim, to prove he deserved the win during their first match. To the delight of the Filipino nation, Manny Pacquiao emerged the winner and reclaimed his title. In the Philippines, every time Manny Pacquiao has a match, unbelievable things happen. The people stay home, traffic eases up, the crime rate drops. It just seems that everyone HAS to watch the fight. My family is no different from the rest. 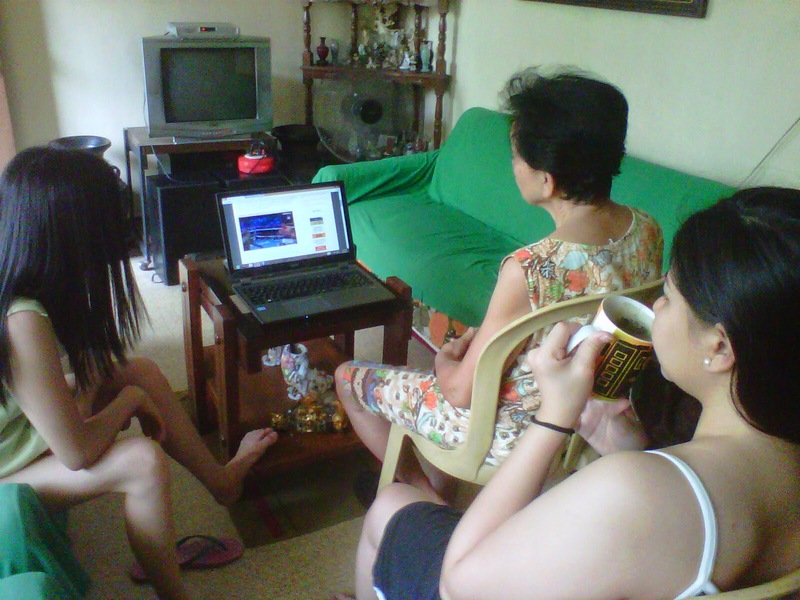 Its a fun time for everyone, especially when we see our mom's antics and hear her comments on the fighter's punches. We usually watch the fight on cable TV, however, there is always a delay in the telecast (unless we paid extra for a special real time feed). To get rid of the annoying "spoilers" on social media, we opted to do live video streaming to watch the fight. We set the laptop on a coffee table and watched the fight from there. Of course, my mom got the front seat. Haha. When the National Anthems were being performed by Jessica Sanchez and Ashanti, my mom said, "Oh stop the singing! Let's get on with the fight!" We broke up in laughter. During the fight, my mom would scream, "Knock him out!" "Upper cut!" "Left hook!" "Get out of the corner!" She would be throwing punches in the air, mimicking the boxers moves and clapping loudly when Pacquiao scores a hit. My 75 year old sports loving mother. Amazing. One good thing I discovered today is that Timothy Bradley is such a good sport. He's a toughie, yes, but after the fight was over, he just stood by Manny's side and kept on saying that Manny is such a good fighter and that he still has a lot to learn in the sport of boxing. Now that's sportmanship. Kudos to you, Timothy Bradley! Sharing a video of the post fight interview to show how humble these two fighters are. No drama, just praise and recognition for each other. Mabuhay ka, Manny Pacquiao! Mabuhay ka, Tim Bradley! 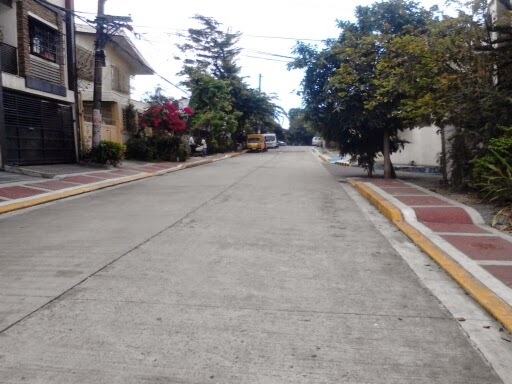 It's practically the same in all places in the country especially samin sa Gensan, hehe. Very low crime rate nga daw each time he has a fight.